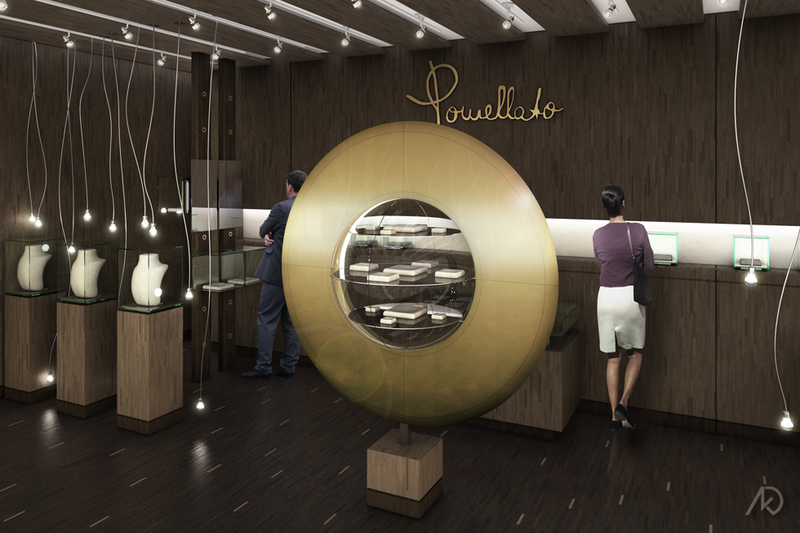 The following 3d illustrations showcase the design for a new in-store Pomellato located in Tokyo, Japan. Since the design is for an in-store location, the footprint is relatively small. The design utilizes most of the branded kit-of-parts: inset wall cove vitrines, free-standing vitrines, column-mounted vitrines, and the table-top vitrines. 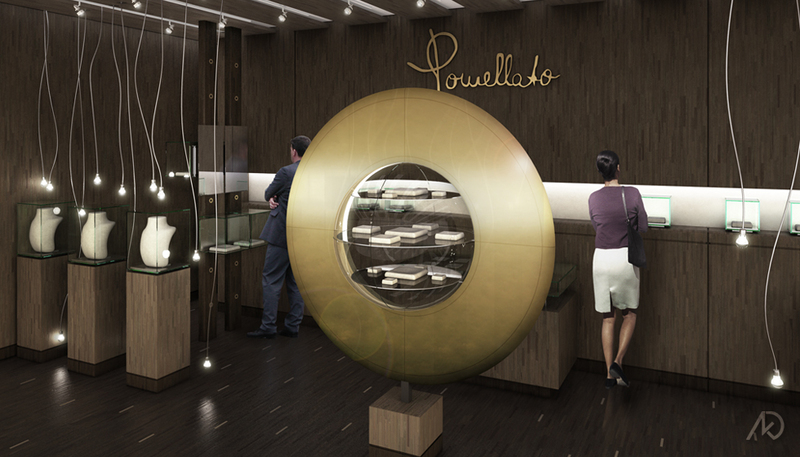 This location has a large sculptural vitrine centrally located. It is essentially a bronze disk with a spherical glass case centrally mounted. This design also contains numerous hanging fixtures to help define specific spaces within the small footprint. Within this view one can see the freestanding vitrines to the far left as well as the column-mounted vitrines directly behind them. Behind the sculptural vitrine is a table-top vitrine and the inset wall cove vitrines. The vitrines inset into the wall are movable to the left or right via a small metal track. This view helps to show the table-top vitrine to the far right in detail. 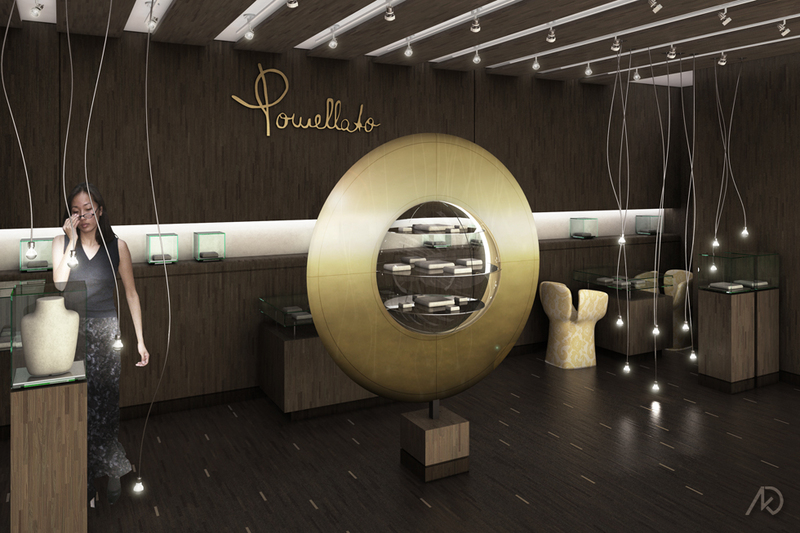 This will act as a consult area for the sales representative to show and discuss the jewelry with the clients. The hanging fixtures creates a small screen element to provide a bit of privacy.